Physical Stress in general is healthy for the human body until obsession takes over and one over exercises. Over exercising leads to over activation of the sympathetic nervous system and increased cortisol production. This in turn leads to tissue catabolism versus tissue anabolism. Scottsdale Personal Trainer Rivak Hoffman is and advocate of working in with zone exercises to balance out sympathetic and parasympathetic nervous systems. Chemical Stress can be good if derived from organic foods which balance out human hormones. Conversely foods laced with chemical additives, synthetic drugs and pesticides will stress, fatten and reduce ones life expectancy. Scottsdale Personal Trainer Rivak Hoffman promotes healthy organic produce and organic grass-fed meats for those looking to improve total body wellness. Electromagnetic Stress from sunlight via vitamin D is nourishing for the body in healthy doses. Even Dermatologists recommend small doses of natural sunlight daily. Conversely, too much sun leads to various forms of skin cancer. There is mounting evidence showing that the chronic exposure of electromagnetic frequencies from cell phone usage has numerous deleterious effects on your health to include neuromas and cancer. Physic / Mental Health Stress in terms of having a positive mental outlook and goal settings is very constructive to energizing the body through positive neurohormone production. Conversely, a negative mindset also known as “Stinking Thinking” produce a cascade of negative neurohormones which break down the bodies immune mediators. Thermal Stress can be positive. This involves maintaining your body temperature at 98.6F. If its too hot or cold outside your body thermoregulatory system is overstressed in order to keep your internal body temperature stable. The ugly would be anything that burns you or is too cold and brings the body temperature too low for an extended time frame. 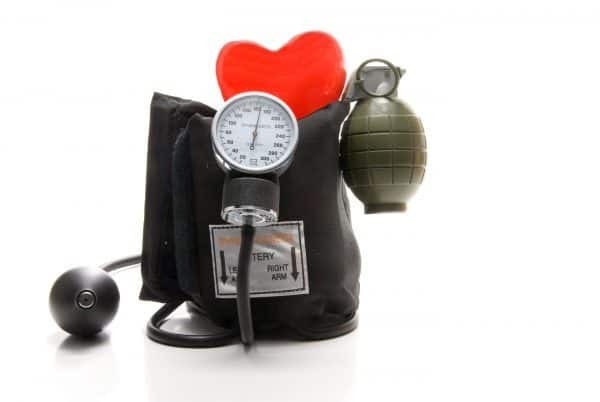 Stressor can adversely impact cardiovascular heath! Rivak Hoffman is an avid writer and fitness enthusiast. He is the owner of Every Bit Fit Arizona – Health & Fitness based out of North Scottsdale AZ. Rivak’s mission is promote health and wellness though functional medicine, Scottsdale Personal Training programs and, Holistic Lifestyle Coaching. For a complimentary consultation go to www.everybitfitaz.com. PreviousPrevious post:Scottsdale Personal Trainers are Failing to Improve Clients Health!NextNext post:What is a Holistic Lifestyle Personal Trainer?